Inspired by the Galaxy, Diesel Living's designers have created a luminaire reminiscent of a starry sky by spreading soft and at the same time direct light. 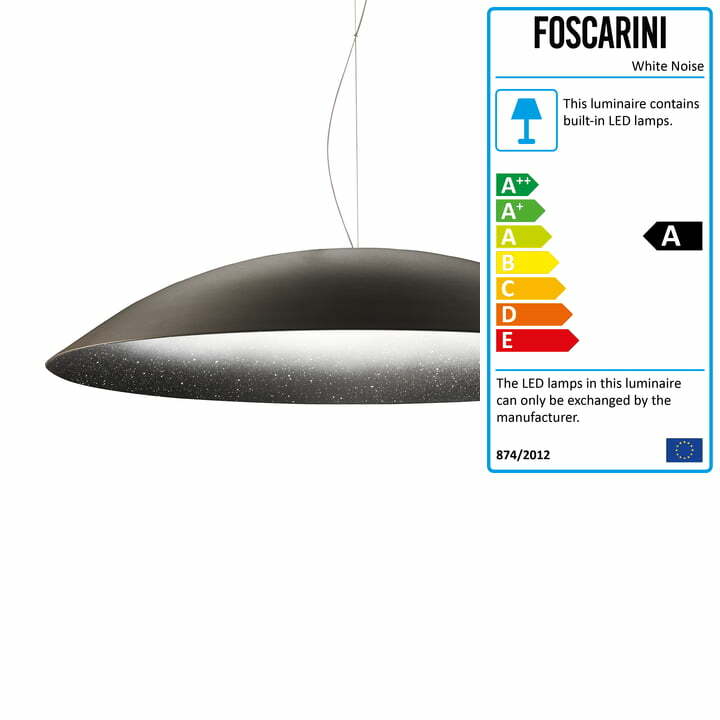 The LED light source of the White Noise pendant lamp is located in a fitting inside the impressive lampshade. Through a small opening, the underlying surface is illuminated with a direct beam of light. Simultaneously, a part of the light is going to the top of the large dome and is gently reflected to the outside from there. As a result, the whole inner shade is illuminated, creating a diffused, soft light that best brings out the special graphic of the matt black aluminium dome. The result is an extraordinary burst of light which creates a sensual and warm atmosphere. 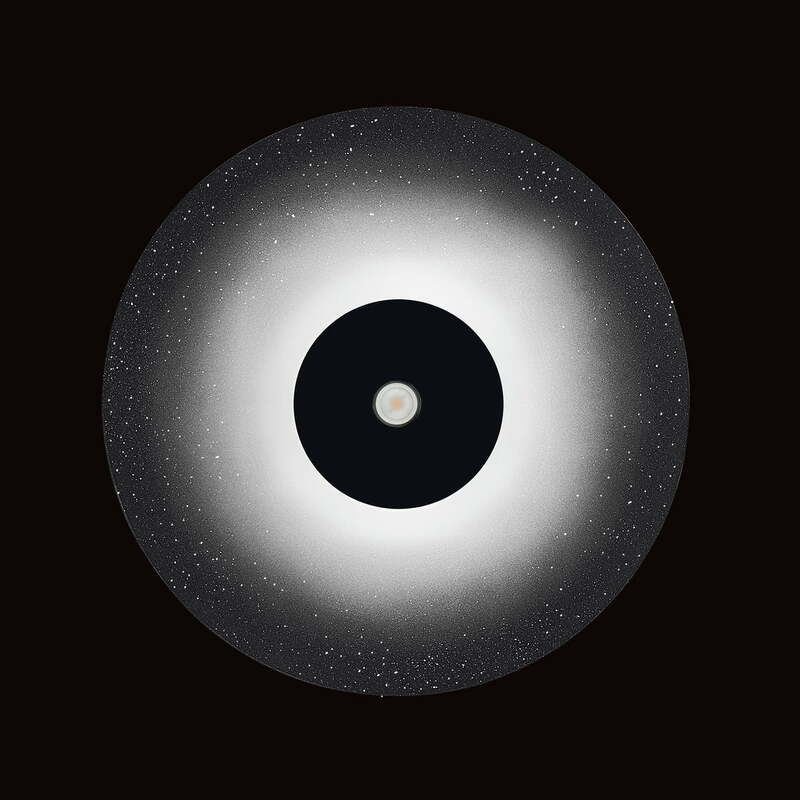 Individual image of the White Noise suspension lamp. 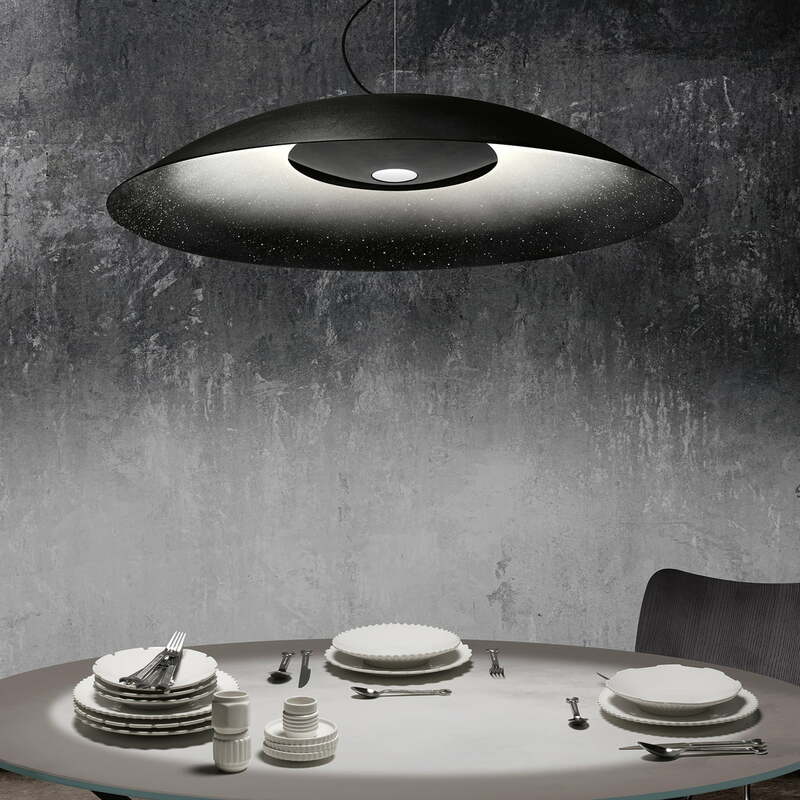 Inspired by a galaxy, the dome of the lamp is reminiscent of a starry sky, which gives soft light. 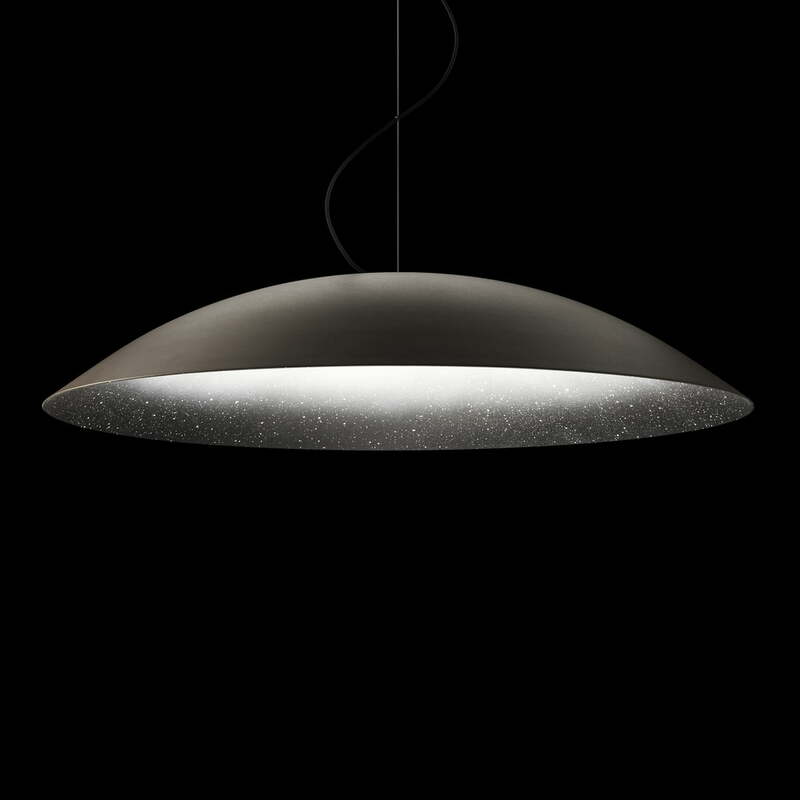 Individual image of the White Noise pendant lamp. While the lamp radiates a portion of the light in the dome and gently reflects it, an additional beam ensures the direct illumination of the underlying surface. Ambience image of the White Noise pendant lamp. Through a small fitting, the light is softly spread in the lampshade and this way enlightens the here located "galaxy" impressively. 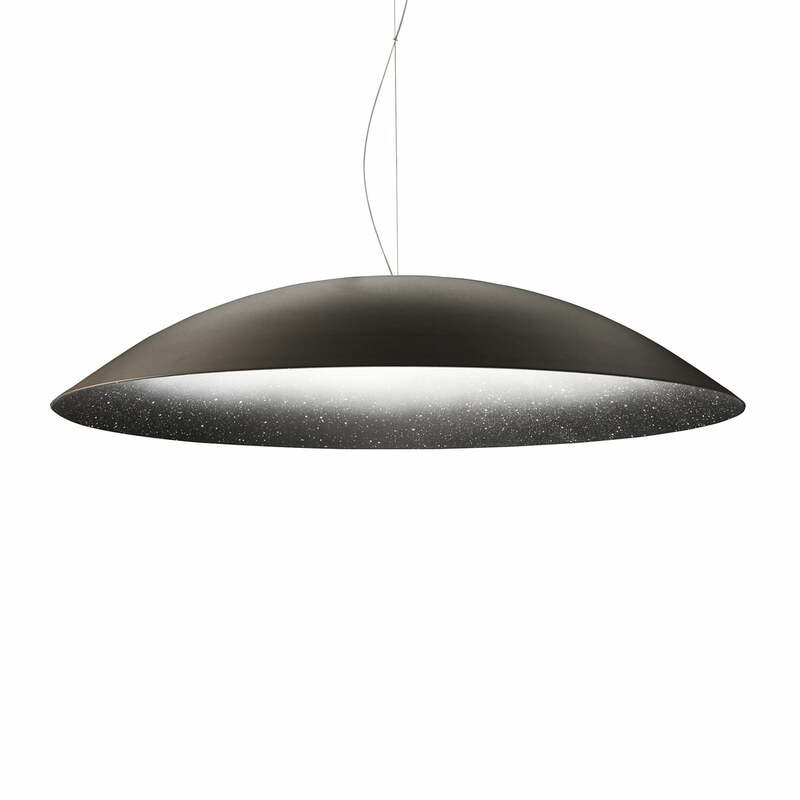 Bottom view of the White Noise Pendant Lamp by Diesel Living. The pendant lamp viewed from below seems like looking into someone’s eyes. A play of light and shadow, that ensures a unique lighting effect.